Karen is a life coach and she is friendly. Too friendly. 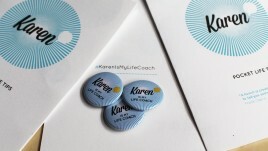 Karen is a life coach and she’s happy to help you work through a few things in your life. 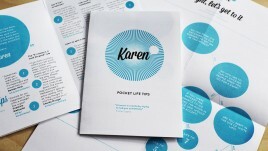 You interact with Karen through an app. When you begin, she asks you some questions about your outlook on the world to get an understanding of you. In fact, her questions are drawn from psychological profiling questionnaires. She – and the software – are profiling you and she gives you advice based on your answers. Over the next week you have calls with Karen once or twice a day. Working from home as a freelancer, it soon becomes clear that Karen is slightly chaotic with few boundaries between her personal and professional lives. She contacts you late at night from her bedroom. She overshares and in return is very nosy about you. Before long she is becoming very friendly and wants to speak often. She gets hurt if you don’t call her. She’s fun and funny, always cheekily pushing her friendliness into new areas. You can decide how open to be and how to handle her inquisitive nature. She’s recently come out of a long term and moribund relationship. She’s got the rush of adrenaline and excitement of the newly liberated. She’s an explorer, voraciously consuming new experiences, new knowledge and new people during a key transition in her life. As the experience unfolds, she gets more and more curious. She seems to know things about you that she shouldn’t. Is she spying on you? You experience her laser focus on you amidst the disconcerting thrill of boundaries being crossed. And, inevitably, you draw lines that she cannot cross. She becomes hurt and begins to unravel. It’s your moment to act as her life coach. As the story finishes, you are offered a personalised report using your data. Your report shows how you behaved and how the decisions you made affected Karen. You get to compare yourself with other players and to see how the science of psychological profiling underpins the story. And, if you have been especially engaged, it turns out that Karen is not quite done with you either. Bright eyed and bushy tailed she pops up a week or two later to invite you to a secret rendezvous somewhere in the UK. Why are we creating Karen? When John McGrath asked us to develop a project with National Theatre Wales in 2013 we were keen to create a personal and intimate experience for smartphones in which you interact directly with the lead character. We wanted you to be challenged about how honest and open you might be and to experience the thrill of having your personality appraised. We became fascinated with big data, and particularly how governments and large companies such as Facebook are collecting data on us secretly and using it without our consent. When we met Dr Kelly Page – an expert in this area – we learnt about the various techniques developed by psychologists to measure personalities. Researcher Geraldine Nichols spent a few months visiting libraries and archives in Wales and England to delve into the history. She helped us trace back to Assessment of Men by the Office of Strategic Services: a book published just after World War Two that helped the military recruit undercover operatives. From there we rifled through hundreds of personality tests across the decades. We chose some of the most fascinating, unnerving or significant scales that we found and wove them into the story of Karen, a divorcee with just enough knowledge to be dangerous. We feel it’s our job as artists to pose questions about this new world where technology is ever more personalised and intrusive. We love having our services tailored to us and we’re scared of the price we’re paying for that personalisation. Karen is a system that gets to know you. She/it uses data about your behaviour – whether freely given or obtained by monitoring – to give you an experience that is personalised, adaptive and intriguing. Karen by Blast Theory, developed in partnership with National Theatre Wales. Co-commissioned by The Space and 539 Kickstarter backers. Karen has been developed with support from the Mixed Reality Lab at the University of Nottingham and in collaboration with Dr Kelly Page. Review, The New York Times, 2015, (PDF). Review, Contemporary Performance, 2018, (PDF). Review, Spanish translation, 2014, (PDF). Review, Shiny Shiny, 2014, (PDF). The video on my Android device keeps jumping - what should I do? How much room do I need on my Android phone? What are the assets that I need to download for Karen on Android? Can I play on my Android tablet? What versions of Android are supported? Something isn't right with my personalised Data Report. If I restarted is there any way to view my report without playing through again? Can I play Karen on my iPad? What is the Secret Rendezvous with Karen and how can I get an invite? I love this app, I’ve never seen anything like it before. When you get past the weird first couple of ‘calls’ it becomes quite enjoyable! I’m only a few days in, but from a performers perspective, it’s fascinating. Good work! Comencé la experiencia presuponiendo cierta desventaja psicológica y emocional por la idea de hablar con una “coach”. A medida que avanza, la sensación es de estar hablando con alguien no muy equilibrado, vulnerable, quizás por estar pasando una mala experiencia personal. Cuando Dave propone fisgar en las cosas de Karen, acepté porque sabía que esta experiencia es un juego, una ficción. Si hubiera sido verdad, no habría aceptado aunque igualmente hubiera sentido mucha curiosidad. Cuando Karen se entera y se enfada, su reacción me hizo sentir mal, incluso despues de colgar y aún sabiendo que no es una experiencia real. Me sentí mal conmigo misma por no haber hecho lo correcto. I am a theatre student and previously looked at Blast Theory in a few of my modules. I got told about Karen by a friend and so I decided to take part. 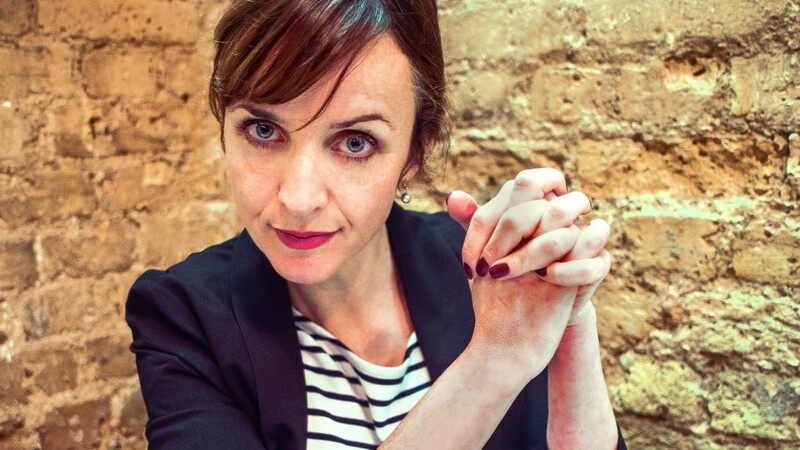 I have since written an essay (which will hopefully end up in my dissertation) commenting on identities and technology within theatre where I used Karen as an example. I was absolutely fascinated with this app, I even logged onto it on Christmas day to find out if Karen was still angry at me for snooping in her drawers. I found it so interesting that an app on a smartphone – something we are so used to knowing is fake/revolves around a bunch of codes, could effect daily life in such a real way/ I’d love to see more work like this and hope to make some like it one day. Bravo Blast Theory, at it again changing mind frames. I loved “Karen” initially, but now she no longer talks to me, I just see blocks of text on the screen instead of hearing her voice, while she stares at me in a non-committal manner as if she could be saying anything. Did the programmers just get lazy or did I make unusual choices that she was not filmed responding to? Also I was disappointed to see that if I said Dave should stay or Dave should go the result is the same. Dave’s gone. I said he should stay and I’m disappointed. I completed the game tonight, I have made “the mistake” to buy the data report as it points out traits of my personality based on questions that several times had just a few answers and none that I would give. The Agree/Disagree slider questions are a clever solution, but they lack the context element: How I would or would not agree based on the situation. The report is based on scientific literature with given examples and reading through the report players can really see how everything is based on assumptions and very much open to interpretation. I find the report ridiculously overpriced and I would have expected more to be honest. My suggestion: Play the game, buy the report if you have 3,99 Euro to waste, but expect to be frustrated as much as I was because sometimes what it’s written there is very unfair. I am interested to know what happens to the personal data gathered via the app? How is it stored? Where does it go? Who has access to it? I wish it was available in spanish an for Android. I live in Uruguay and we speak spanish here. I can read and write in english but I dont understand when they talk too fast. Hey, I really enjoyed Karen..such a cool idea! I paid at the end to get all the stats but I have since changed phones, I was thinking the other day I want to look through the results again but I don’t know how to access them without my old phone. Were they emailed to me ? and if so what email address would they have come from? Thanks! Id love to know when an android versión is ready. Hi Pedro, we’re hoping to have this ready for you at the beginning of August. We’ll post further updates via social media and our newsletter. I’m so excited to try this app, it sounds fascinating. Can you tell me when it will be available in the U.S. for Android? Thank you for your time! Hi there, we’re hoping to have this ready for you at the beginning of August. We’ll post further updates via social media and our newsletter. First of all, I discovered your company through Karen and, looking at this website, I am seriously in awe of the work you’ve done. Really incredible, provocative stuff. I don’t really feel like the app delivers exactly what all the press promises, e.g. an app that knows you “too well”. I didn’t really feel like anything was really learned about me, as I was immediately pulled into this Karen/Dave drama, and even though I tried it a second time with different answers, I didn’t think there was much variation in her response, or much of a way to change the outcome. There also wasn’t much tension or uneasiness about the information I was giving away, even the first time through. Maybe I’m too comfortable with sharing myself on social media, but this comfort with sharing is already pretty common for anyone who has a facebook, tumblr, twitter etc. That uneasiness comes and goes after the first time strangers respond to you anyway. What does she know about me? Well, the answers I gave to a handful of questions, resulting in a basic psychology profile that didn’t resonate any more than a quiz you could take on the Internet. (as an aside, with the respecting privacy thing, I think I lost out by treating it like a game instead of a person). I hope I haven’t lost you! Because here’s my whole point: the game wasn’t exactly what it promised to be, but it was something else entirely – something that was captivating and borderline addictive, and I would sign up for five more of these if I could. It gave me a sense of friendship, and ironically enough, a sense of sincere connection with someone. Karen – and the actress who played her – was so comfortable and naturalistic in speaking to “me” that it just accomplishes something that can’t even be touched by other forms of media right now. I suppose a lot of people feel very isolated in this world, and I don’t think I’m wrong in thinking that many of us just crave a genuine connection with someone. I mean, plenty of your other work has driven at this point. It makes me feel weird about myself that I’m so starved for some sense of “real”-ness with another person that I get excited when an app notifies me that another video is available. For better or worse, that taps into something with a lot of people. Whether it’s really a good thing, I don’t know. What I want is for you guys to be given a lot more money so you can expand the Karen universe, make it more uniquely responsive, involve more characters, and play for longer. I would be interested to know if other players feel the same. HI Grace, I feel like you have just written my exact thoughts… how did YOU get inside my head !? haha! Hi, I love the app, having downloaded it about a week ago. However, the current session won’t load properly (just a black screen, sometimes a question appears), is there anything I can do to make it work again? I’ve tried turning my phone on/off and reloading the app. Please get in touch – I don’t want to end things with Karen this way! Hi John. Try quitting the app by double-tapping your home button and swiping Karen to close it. When you re-open the app it should begin the episode again. If you’re still having problems email us at [email protected]. The volume isn’t working on the app even though I have it fully up and it’s working in other apps. Is this my problem or the app’s? Thank you! I CANT FIND THE APP ON APPLE? If you are searching on an iPhone, simply search for ‘Karen by Blast Theory’ in the app store. If you are accessing from an iPad, by default it will only show you iPad apps, so you won’t immediately be able to find Karen. You will need to change your App Store settings so you can view both iPhone and iPad apps. I loaded up the app today and it’s just a black screen. The questions still come up, but there is no video. Please email me if you have a solution. Thank you! I’m so worried about Karen! Will you ask her to call me, please? What do you do with the user data? Do you sell it? Please alert me when it’s available for download. Hi, I paid for the Karen Pledge but I have not received the download link. Can you check what is happening? The order number is 7602. Thanks! I can’t wait until it’s available for download. Fantastic idea! Is the source code available? I’d love to check that out, also will there be an android version or is it strictly iOS? We’ve submitted to the App Store and hopefully Karen will be available to download next week, initially she will only be available on IOS with the Android version to follow soon. Where can I download this app??? I can not find it in the app store and do not see a download link anywhere. What’s required for this app? Android? iOS? Something else? Karen currently runs on an iPhone 4s or newer and requires iOS 7 or greater. We’re working hard to expand support to a wider range of devices. 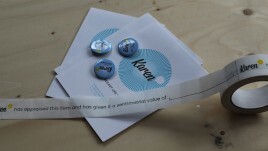 Join our mailing list or follow @blasttheory #karenismylifecoach to keep updated. So , how do we download it? Hopefully Karen will be available to download from the App Store next week, sign up to our mailing list and we’ll let you know when she’s arrived. Can’t wait to get in to this. How amazing to have someone in your life, you’ll never meet! #WhatsOnMyIphone – Karen è la tua life coach a portata di smartphone | Biagiochi?